Step 1. Click the interview link. If you are new to CodeSignal.com, then enter as a guest by filling in your email address and name, then clicking ENTER. Step 2. 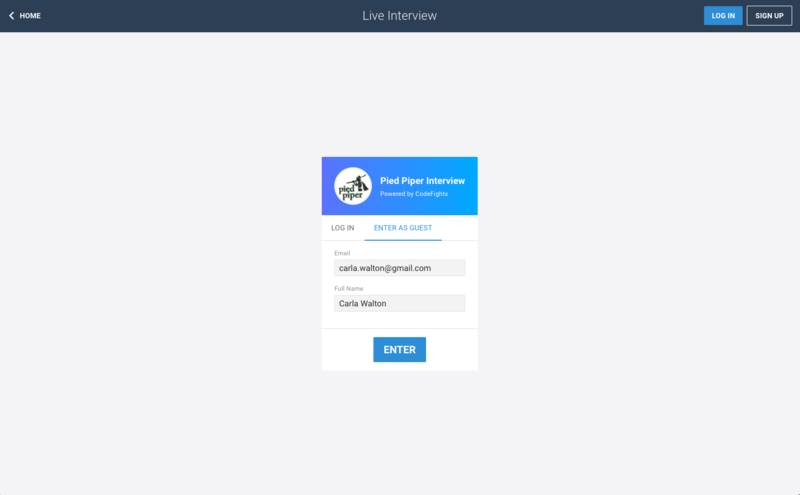 (Optional) Click JOIN VIDEO CALL to start a video conference call with the interviewers. Step 3. 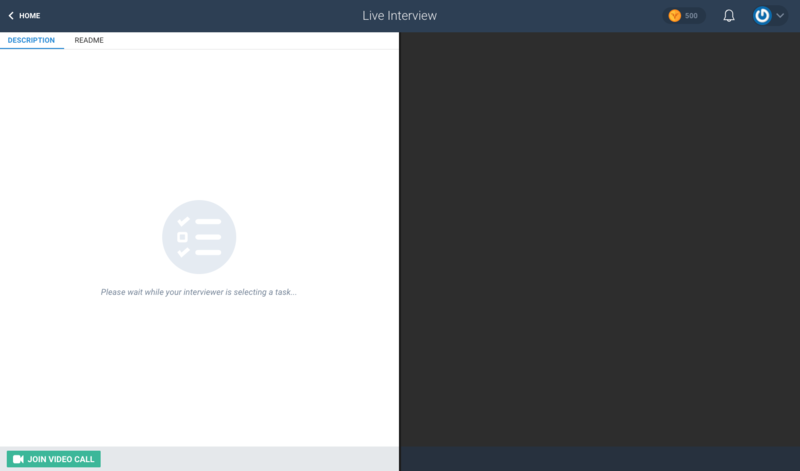 To start the code writing portion of the interview, the interviewer will select a coding task for you to solve.